Air Force Jobs | Best Air Force Jobs | What is the best Air Force Job? This may be one of the biggest questions you can think of when looking into joining the Air Force. Picking your job will also be one of the most important decisions you make while joining the Air Force. Picking what jobs you would like to do for 4-6 years or more can be stressful and difficult. But this article will hopefully make it easier for you making your desired job list. Unfortunately there isn't a "best job in the Air Force" but, there may be certain jobs that are "best for you" and I'm going to do my best to try and help you find those jobs! This is also for Enlisted careers but if you have a degree or are planning on joining as an officer you can also use these steps provided to determine what may be best for you. When it comes to making your list of desired job, knowledge is power. The more jobs you know and the details of those jobs the better. The advice I'm going to give you is going to be time consuming but it will result in you making an educated decision to joining the Air Force. Step 1. Grab a pen and notebook, or you can use your laptop and pull up a blank word document or a blank notepad document. you're going to use this to write down any jobs that you have an interest in. I prefer writing in a notebook. It's easier to sketch notes on. Step 3. This will be most efficient on the computer rather than on your phone because you will be opening several tabs. Right below "What areas interest you" there will be 3 symbols. The two on the left look like list symbols and the right side is a magnifying glass. Click on the center image. After you click on that it will give you a few options. This is where you pick the enlisted jobs or the officer jobs. If you are joining without a bachelors degree you will be going enlisted. So you will click high school/enlisted. Step 4. This is the beginning of you finding the best job in the Air Force. You will be given 124 job options that are enlisted career fields in the Air Force. You can go about this two different ways. You either open up every job and read about it, or you can only open the ones that sound interesting by the name. I suggest opening each job to read about it though. It will take a lot longer to come up with your list. But haven't you heard the phrase "don't judge a book by its cover" this phrase applies here. Don't judge a job based off of it's name. Step 5. From here you will be able to click on each job. The Air Force website doesn't allow you to hold Ctrl down and click each job to open multiple tabs (At least it didn't work for me while writing this article) So you will have to read each job individually and then go back to the list and click on high school/enlisted jobs then click on the next job on the list. This will take a lot of time to research every job. But being well educated for a 4-6+ year decision is well worth the hours of research. Step 6. Every time you find a job you feel you may be interested in scribble it into your notepad. Maybe throw down a few notes next to it of what you liked about it. It's okay if right now you don't LOVE a job yet. This is just to get a rough idea of what you are interested in. So any job that sparks and interests add it to your list. you can even see on here where your tech school is and how long it is. PLEASE, PLEASE, PLEASE, don't base your decision off of the tech school length or location though. don't pick a job based off of where you'll be for a few months when you'll be stuck doing that job for 4-6+ years. A great job with a long or bad located tech school is much better than a bad job with a good tech school location or length. Step 7. Go through every job that is enlisted. you should have a decent sized list by the time you've researched each job. You will also be more educated than most when it comes to jobs in the Air Force and then you can help spread the knowledge to help others! Step 8. So you have a list of jobs you are semi interested in for the Air Force. This is when you head to google.com or YouTube.com to see if you can find any extra information about those jobs you did like. some jobs may have videos on YouTube or articles online or forums about them. This is where you can learn more in depth about a job you may want from people who actually do that job. My job is Aircraft Structural Maintenance and I've already made a video previously explaining what my job consists of. When you research more, if any jobs make you lose interest feel free to cross them off your list. Keep in mind though It may be good to keep this list of jobs that initially interested you just in case you do end up not getting a job offer for one of you top jobs. You will be able to go back and see if the job offer you get was even one of the jobs you had considered at all in the first place and it will have some notes about the things you did like. Step 9. Your list should be smaller now then when you started. Now that you have the top jobs that interest you in the Air Force this is the fun part. You get to rank them! This is where you start to realize what the best job in the Air Force is for you. Also something to keep in mind is when rating these. Don't rate them by what you think is "coolest" please rate them based on what you would be happiest doing for 4-6+ years. Step 10. Make your list from your favorite job to least favorite. Then you're going to go through and compare each job to the ones around it. Take your number 1 and 2 job and ask yourself. If you had to pick one or the other for 6 years. Which would it be. If they stay 1 and 2. Move down and compare your #2 job to your #3 job. Make your way all the way down your list comparing jobs. If any change. go over the jobs that moved with the jobs around them again until your list is situated in the best order for you from favorite to least favorite. This doesn't mean that the last job on the list isn't a job you would want to do. It means you would still want to do the job, but if you had the choice you would do something higher on your list. Step 11. KEEP THIS LIST! this will help you when you go talk to the recruiter about jobs. You made a list based off of researching each job. So that way you know what jobs you're willing to join for. Don't let the recruiter talk you out of your list. Except if you list only contains 1-4 jobs. You might be a little too dead set on picking a job and that's harder to get something you want. So make sure you have an open mind when joining and try to have your list have at least 7 jobs if not more that you are willing to do. Based off of your jobs you like you can also decide on what aptitude is best for you. See what aptitude the jobs on your list fall under and the aptitude with the most jobs on your list is the best aptitude for you! When picking a job for the Air Force you'll have to list at least 7 jobs I believe and you'll also have to list an aptitude area. This is why I say make sure your job list has at least 7! The more jobs on your list of jobs you like the better because it's not guaranteed they give you an offer for a job that was on your top 7 list. I know this was probably not what you imagined when thinking of the best job in the Air Force. Many people think there is a straight forward answer to the question. But there isn't because everyone is different. What may be the best job for you may be different for someone else. Only you know they answer to what is the best job in the Air Force. No one can answer that for you. This is also the same for nearly every experience you'll have in the Air Force. You'll need to keep an open mind because every situation for every person is going to be different. There really isn't a set answer for most things in the Air Force. Just keep an open mind and work hard. Best of luck on your future journey with the Air Force and I hope you all the best! 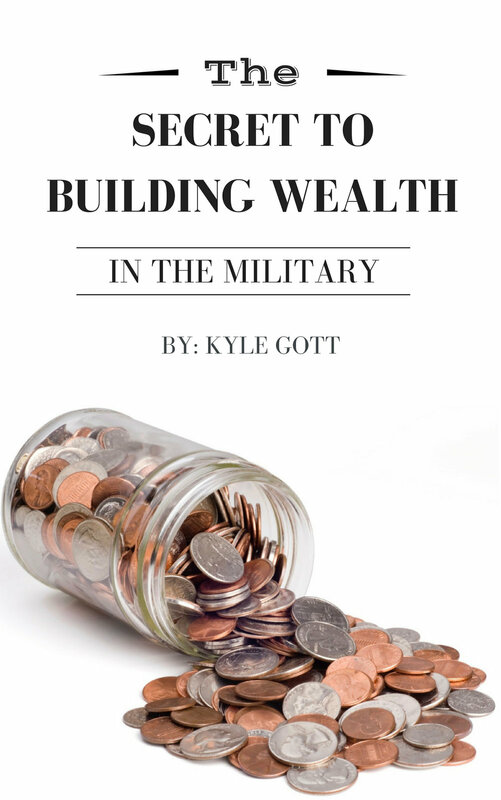 A couple months back I released a couple new pages on my website for helping Airmen better prepare for Tech School! I created TWO pages that should provide a ton of useful information to anyone on their way to Air Force Tech School. The first page was dedicated to helpful tips to know before going into Air Force BMT. There are a lot of questions people have about USAF BMT so I hit several big topics in the Air Force Tech School Prep page. Hopefully you find this information and these tips helpful! I Also created a page dedicated to items you might want to bring to tech school or that you may buy while at tech school. It's similar to the BMT packing list I made but whether you take or buy the items is up to your personal preference. It's more so an Air Force tech school wish list. It has items ranging from bed sheets and cleaning products to videos games and electronics. Everything on that list are items that are allowed to have at AF tech school. Click the image to go to the Air Force tech school wish list. I apologize for the lack of updates on the website and email list. With the out processing and PCS coming up I've been extremely busy. I will be working on getting posts on here back up to date. Thank you for the continued support and patience!